THE Nigeria Football Federation (NFF) may have turned down a request from the Confederation of African Football, CAF to bail it out and host the 2017 edition of the African U-17 Championship. CAF had last week stripped Madagascar of the right to host the championship even as it had not made any concrete arrangement for another host. A reliable source at the NFF informed Sports Vanguard in Abuja that on Monday the federation received a letter from the continental body requesting it to bail it out by staging the competition scheduled to take place later in the year. 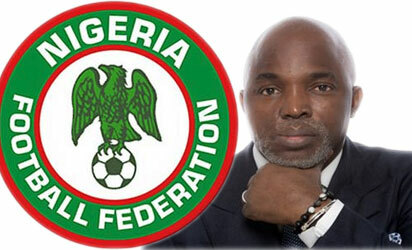 According to our source who did not want to be mentioned, the NFF who has been battling a nagging financial crunch did not waste time in declining the offer. The executive committee of CAF had met last Thursday in Libreville, Gabon and announced the withdrawal of the hosting right from Madagascar; a development many analysts believe is a way of getting back at the president of the Malagasy Football Federation, Ahmad Ahmad who is the only candidate that will contest the presidency of CAF with the age long incumbent, Issa Haytou. Hayatou a Cameroonian had been in charge of CAF since 1998 and despite a change of its bylaws last September to limit the tenure of its officers, CAF tactically left a window for him run again and if he expectedly wins, will be in office till 2021.